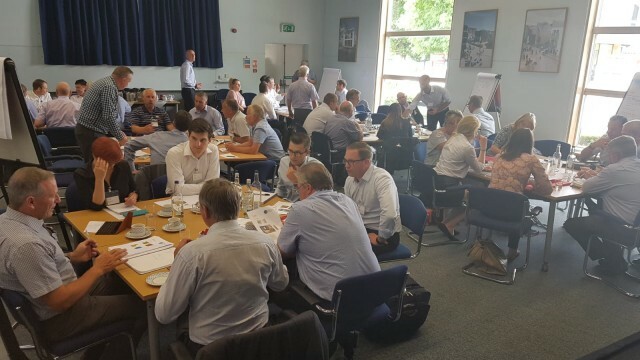 Yewdale attended a Design In Mental Health Network (DIMHN) ‘performance testing development workshop’ in the first of a set of meetings aimed at setting industry-wide standards of future anti-ligature systems. The need for standardisation has come about to aid healthcare staff and manufacturers of anti-ligature systems to identify and create safe environments that are relevant to the needs of the service user. By creating robust testing systems, NHS Trusts and alike are able to easily select the systems they need, saving time and money in the process. Currently, anti-ligature systems are created to suit the needs of healthcare environments, based on feedback in discussions, and are often quite specific to these areas. The systems are then tested by the manufacturer and then by the Trusts to their own standard, which inevitably varies from one Trust to the next. With 84 Foundation Trusts and 54 Mental Health Trusts in the country, an anti-ligature system potentially faces being tested 138 times to see if it is of use or up to each Trusts' standards. This is not including any testing conducted by the manufacturer. The process is costly and time-consuming, slowing innovation and ultimately delaying the installation of vital systems. There is a fundamental lack of an industry-wide standard of testing, meaning no two anti-ligature systems meet the same requirements in a clearly defined way. What’s more, the sheer array of systems available can be confusing for installers, who may not be fully aware of what the service user’s specific requirements are and the extent to which some will go to form a ligature point. Yewdale has stringent measurements in place to ensure installers of key YewdaleKestrel® systems are entirely qualified. We hold training courses and refresher courses for systems that require the installer to be qualified and provide detailed installation instructions for our other anti-ligature systems. This is not industry-wide, and some healthcare staff at the meeting raised concerns over the abilities of installers in these environments. Not all service-users need the same level of protection or are on the same care pathway, with some ranging from the most at risk to the un-intentionally at risk, like dementia sufferers. This can sometimes also lead to a cross-over of products not designed to be used with each other, which in turn create ligature opportunities and risks. With so much at stake and with so much information available, researching and testing the systems needed for a Trust is often left to an anti-ligature expert or committee, which also takes up time and money. The first of three meetings, the session on the 18th of July looked at gathering ideas from manufacturers and people from healthcare organisations for methods of standardised and repeatable testing. Currently, manufacturers and Trusts rigorously test their anti-ligature systems, and so this meeting looked at how we can bring together these methods to ensure a nationwide approach. A lot of information was passed on from the attendees, with representatives from the Building Research Establishment (BRE) on hand to take notes and provoke discussion – not that discussion ever faltered! With so many knowledgeable people in attendance, from both sides of the anti-ligature industry, opinions and thoughts abounded. By hearing these grave concerns first hand it became apparent how important it is to get these standards right, and it lent a sense of urgency to the proceedings. A standardised set of testing methods and a usable, easy-to-understand means of grading products will provide healthcare staff with the tools they need to create a safe environment for a service user. Yewdale is proud to be a part of these meetings and adding our many years of knowledge and experience to the discussions. YewdaleKestrel® is a leading anti-ligature system used widely and successfully in many healthcare environments across the world. We stringently test our systems and demand the highest standards of our installers yet welcome the opportunity to collaborate with the industry to help standardise this procedure. We have a very good relationship with all the team at Yewdale, and at this point when ever we need advice or assistance they are always there to help.